Super Fire Color Black Opal Beads 8 MM Amazing Color Play & Fire !! 3X4.5 MM 35.70 Cts Natural Ethiopian Welo Fire Opal Rondelle Beads Necklace 16"
3.5X5.5 MM 43.20 Ct Natural Ethiopian Welo Fire Opal Rondelle Beads Necklace 16"
3X4.5 MM 35.40 Cts Natural Ethiopian Welo Fire Opal Rondelle Beads Necklace 16"
3.5X6.5 MM 52.80 Ct Natural Ethiopian Welo Fire Opal Rondelle Beads Necklace 16"
4X6 MM 61 Cts Natural Ethiopian Welo Fire Opal Rondelle Beads Necklace 16"
3X6.5 MM 45.50 Cts Natural Ethiopian Welo Fire Opal Rondelle Beads Necklace 16"
3.5X5.5 MM 45.80 Ct Natural Ethiopian Welo Fire Opal Rondelle Beads Necklace 16"
Super Fire Color Black Opal Beads 5 MM Amazing Color Play & Fire !! Super Flashing Fire Natural Ethiopian Opal Smooth Rondelle Beads Necklace 17"
Natural Gem Ethiopian Fire Opal Ultimate Quality Big Round Beads Necklace 16.5"
3X9.5 MM 45.50 Cts Natural Ethiopian Welo Fire Opal Rondelle Beads Necklace 16"
Rainbow Flashing Fire Ethiopian Black Opal Uncut Beads Finished Necklace 16Inc. 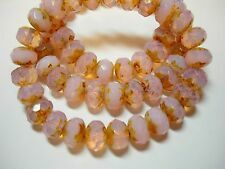 3.5X6 MM 52 Cts Natural Ethiopian Welo Fire Opal Rondelle Beads Necklace 16"